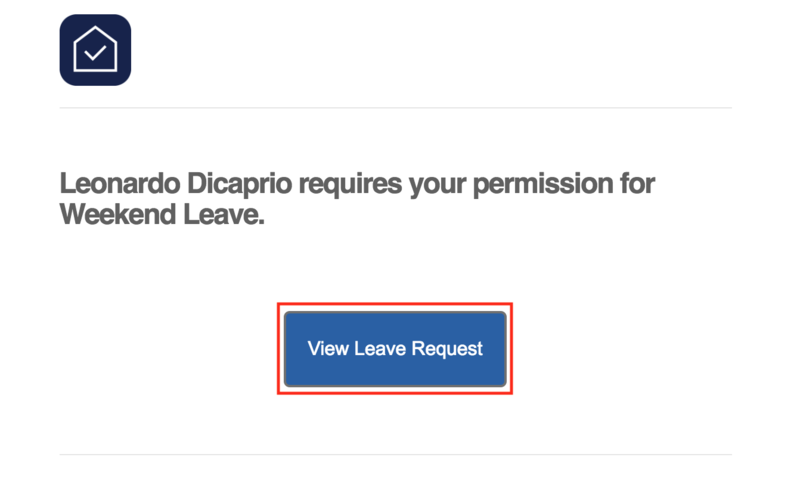 When a student applies for leave that requires parental approval, you as the parent will receive an email notification. 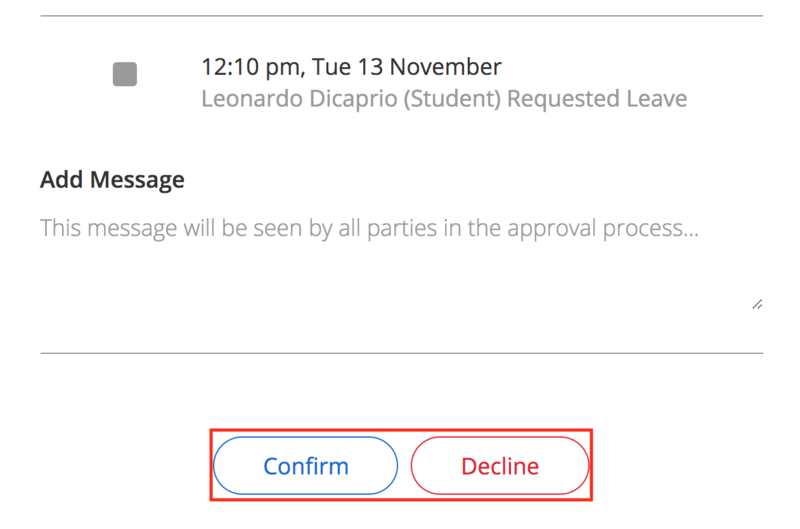 Open the email notification and review the leave details, click "View Leave Request"
Click View Leave Request will take you to the leave form where you will be able to click to approve or decline the request at the very bottom. Once you have approved or declined the leave request the school will be notified of your decision.